One of Europe's fastest growing airlines and the premier low-cost-carrier of Ukraine, Wizz Air, has announced this week that it will further expand its operations in Ukraine by adding a fourth Airbus A320 aircraft at its Kyiv base in March 2019 and will be launching five long-awaited routes from Kyiv and Lviv airports and increasing the number of tickets offered with over 45% next year. The new low fare routes announced will operate from Kyiv to Breman, Billund and Riga and from Lviv to Copenhagen and Frankfurt Hahn and travellers can already book their tickets from just EUR 24.99 / UAH 759*. The announcement brings WIZZ’s investment in its Kyiv base to over $400 million** in 2019 and increases its operations with 45% in Ukraine, offering in total more than 2.5 million seats on 42 routes to 12 countries. The new aircraft will arrive on 1 March 2019 and will support the service of the 5 new routes from Ukraine from which, WIZZ’s routes to Kyiv-Bremen, Kyiv-Billund, Lviv-Copenhagen and Lviv-Frankfurt Hahn are the only direct connections. Wizz Air started its operations from Kyiv International Airport in 2008 and since then has continuously invested in network, always looking to bring unique and affordable travel opportunities for its customers. “As the pioneer of lowest-fare air travel in Ukraine, we are looking to further stimulate the market and respond to the increasing demand for low fare tickets and great travel experience. The five routes announced today from Ukraine to Latvia, Germany and Denmark will for sure create the new opportunities our customers were waiting for”added Stephen Jones. The airline’s continuous investment in Ukraine and the expansion of its local base in 2019 will create new jobs with the company and expanding the local team to more than 140 direct employees. Wizz's operations in the country will further contribute to the local economic development as it has done for the last decade, by increasing employment in Ukraine’s aviation and tourism sectors and supporting more than 1,000 jobs*** on annual basis. Today, Wizz Air also releases its 2019 summer schedule from Kyiv airport. For the next two weeks the fares for the summer season, including the new routes will be exclusively available to WIZZ Discount Club members only, while from 13 September 2018, they will become available to everyone. 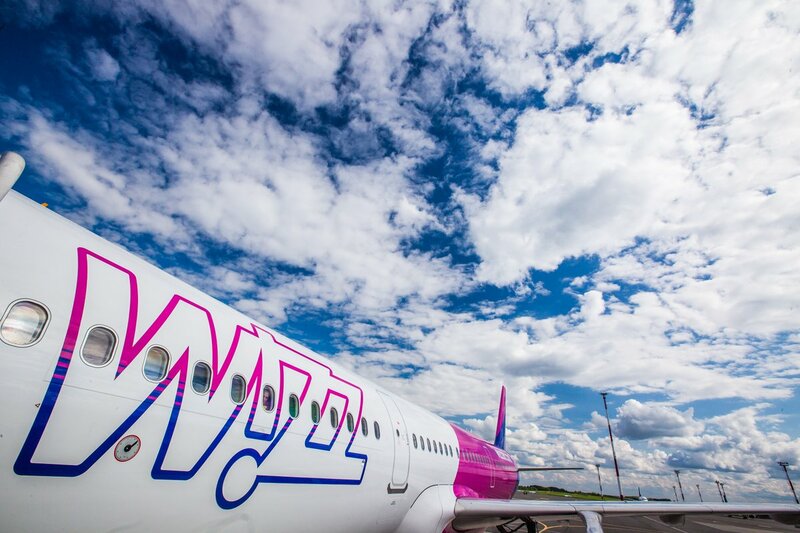 The new connections together with the weekly frequency increase on the popular service Kyiv- Lisbon are part of WIZZ’s 2018 summer schedule from Kyiv.